Torneo internacional de futbol base MICFootball 2019 | FC Barcelona and Real Madrid are already resting in Lloret. The previous day to the start of MICFootball 2019. This Wednesday, 11 a.m. the inauguration ceremony will take place in Figueres (Vilatenim Stadium) and following right after the first matches of the group rounds. Therefore, this afternoon has been restless in Lloret; two of the major teams have arrived at the Hotel Olympic, one of the official residences for the players during these five days of MICFootball 2019. Previously, during the first afternoon hours, some of the East Europe teams have arrived such as Locomotive Tbilisi from Georgia) and Shaktar Donetsk from Ukraine with a lot of positive energy to prove their potential as the best teams of the European continent. Among the different squads from LaLiga, the first to arrive has been RCD Espanyol, who has come with both of its main teams: U16 (winner of MIC 2018) and U19. 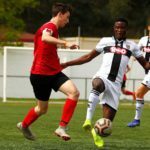 Following them, Athletic Club de Bilbao, one of the best clubs when it comes to work on the bases of football, has also shown itself in Lloret. Before FC Barcelona and Real Madrid other teams have also arrived to the hotel. Some of them are Villareal, Sevilla or Betis. 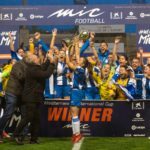 Both Andalusian teams will share Hotel Olympic a few days after their classical rivalry match disputed by their first teams. At last, FC Barcelona and Real Madrid have made their appearances in Hotel Olympic. Barça did not win in any of the MIC2018 categories; therefore, they will try to rule again in at least one of them. On the other hand, Madrid is one of the most loyal teams to the MIC with sixteen participations. Moreover, the white team has arrived at the hotel with the presence of the former Madrid player, Raúl González Blanco. He was one of the most determinant players of Real Madrid’s history who, before jumping into the second team the next season, will round out his era in the U19 fighting for the title of this MIC’s edition.